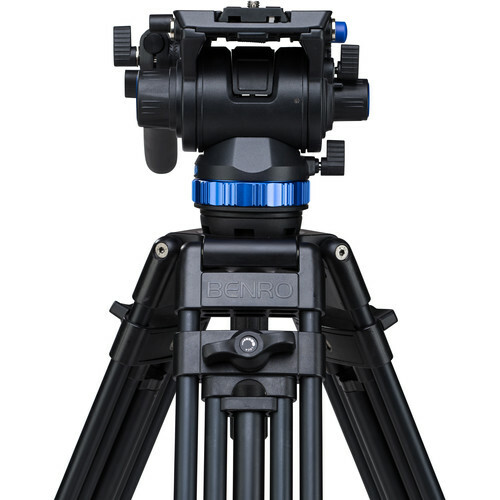 Benro‘s S8 Dual Stage Video Tripod Kit is a complete tripod system ideal for studio applications and handling camera rigs weighing up to 17.6 pounds. 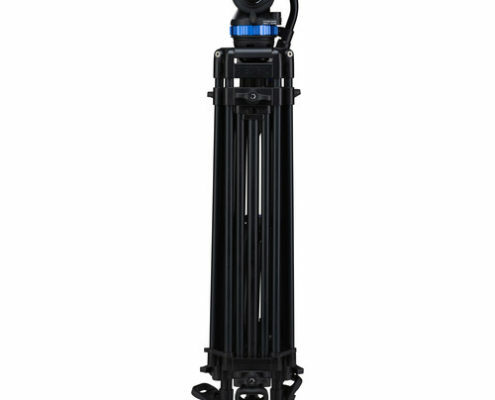 The kit pairs the S8 video head with a twin-leg aluminum tripod. 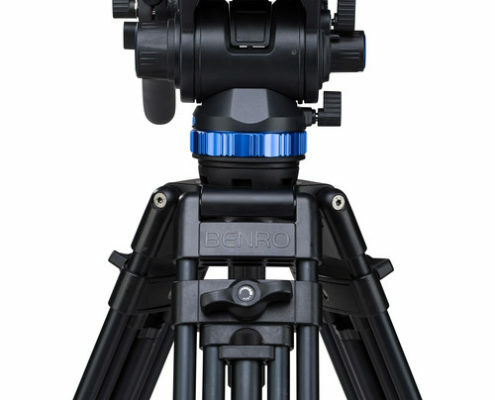 The Benro S8 head features a 4-step counterbalance system to dial in the correct amount for your setup, and independent stepless pan and tilt drag settings for precise control over camera movements. A Benro QR13 sliding quick release plate is provided. For added versatility, the 75mm ball tie-down stud is removable to convert the head to a flat base for use on a slider or other support device. 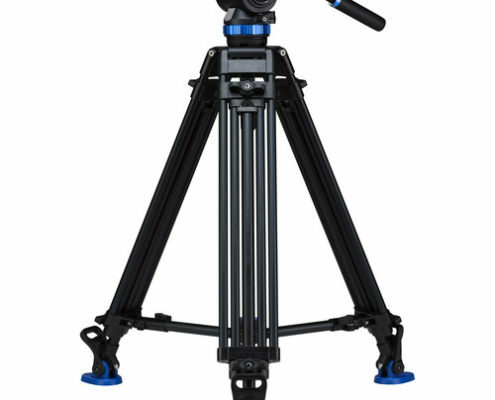 The 2-stage, 3-section twin-leg aluminum tripod incorporates a 75mm bowl and offers sturdy support for the S8 head. 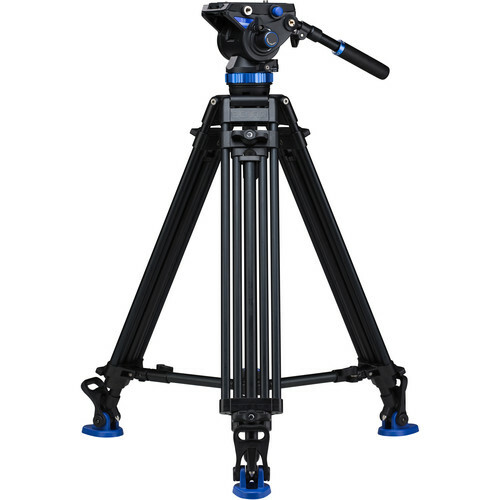 This Tripod features oversized quick positive leg locks for simple and fast setup, an adjustable/removable mid-level spreader, and dual spike feet with removable rubber pads. 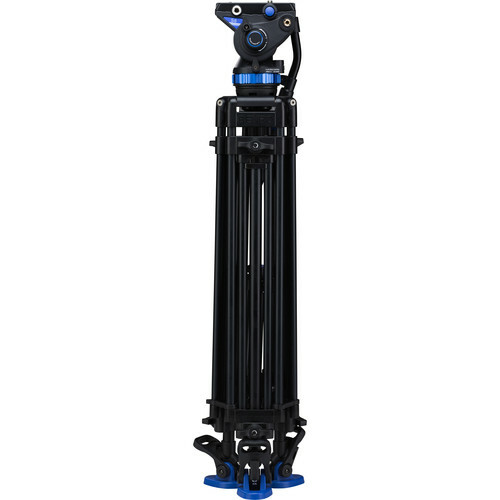 The tripod system extends to a maximum height of 63 inches, while getting as low as 29 inches. A carry case and shoulder strap are included for storage and transport.